Harbour City is Hong Kong’s largest shopping mall and renowned as a ‘beauty kingdom’ with more than 300 global beauty brands under one roof. Last month, Harbour City invited Master Xiao P, Perry, the ‘Beauty Magician‘, to visit Hong Kong to share the latest beauty brands and products. Perry is very popular on social media and is ranked the Top 1 among Sina Microblog Beauty KOLs in 2016, Top 1 among NewRank Beauty KOLs in 2016* and Top 4 among the Chinese KOLs with the Most Business Value in 2016. On 25 May, Perry live-streamed the video “Master Xiao P Laoshi Takes You to Hong Kong Harbour City”, which was viewed 28.2 million times and set a new record for highest number of livestream views on Sina Microblog in Hong Kong. 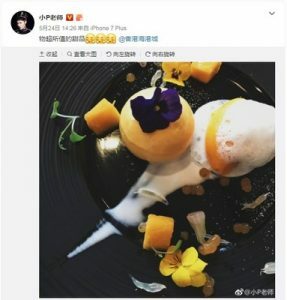 On the day before the event, Perry posted a photo and a seven-word caption on his Sina Microblog about tasting desserts in Harbour City as a teaser. This drew fans’ attention to his Hong Kong trip and generated anticipation of follow-up activities. On 25 May, Perry live-streamed the video “Master Xiao P Laoshi Takes You to Hong Kong Harbour City” on Yizhibo. In the 90-minute live stream, Perry led his fans from the main entrance of Ocean Terminal in Harbour City to Lane Crawford, FACESSS and stores on the third floor, as well as to other beauty brands. The live stream started at 7:30 p.m., as the Mainland internet users peak after dinner. Perry also provided different price ranges of products to cater to different customers’ needs. For example, he highlighted the American brand Lipstick Queen, which was exclusive to Harbour City. At the end, he introduced the medical skincare brand SkinCeuticals and the Israeli brand Sabon, which is not yet being sold in the Mainland. 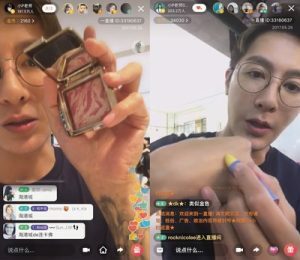 Perry successfully caught fans’ attention by showing them a ‘real shopping experience’ of selecting beauty products and answering questions raised by audiences during the live stream. Due to the popularity of Perry’s live streaming, his live stream appeared on the list of the top live stream recommendations on Yizhibo that day. This, along with the promotions of Sina Microblog and Harbour City, led to the increase in the video’s popularity. Perry also held a sharing seminar with hundreds of representatives from the media, beauty brands and fashion brands. There he unveiled the process of becoming a beauty stylist, gave an on-site demonstration of facial massage skills and beauty tips, and introduced his first autobiography titled “The Way of Achieving Your Dreams is Incomparable”. The sharing seminar helped the audience further understand his pursuit of beauty and his life philosophy. Perry held a sharing seminar with hundreds of representatives from the media, beauty brands and fashion brands. Perry is known in the media as the ‘Beauty Magician’ — from working behind the scenes to being the ‘fashion godfather’, he is the hottest celebrity stylist in Asia. He was the exclusive stylist for celebrities Dee Hsu (Little S), Barbie Hsu (Da S), Vivian Hsu and other popular artists. He has also involved in styling Taiwan’s Golden Bell Award, Golden Horse Award and other significant awards many times. He has 36 million Sina Microblog fans; his WeChat public attention exceeds 2 million; and the highest views of his live stream broke 28.2 million. He is a fashion industry entrepreneur, establishing P.StylE (professional style salon), Bright Eyelashes (eyelashes and nail brand), Hulls (skin management center), and Park Space (café). He created China’s first online fashion beauty weekly program #Magical Class#, which was launched 7 years ago with thousands of video programs, and has been viewed by more than 2 billion views. He is also a best-selling author. He has written 8 books in the past few years and the latest one published in April 2017 is his first autobiography titled “The Way of Achieving Your Dreams is Incomparable”, which has online sales of more than 50,000 in the first month.